Council Grove - Robert D. Pretzer, 86, of Council Grove, Kansas passed away January 25, 2019, at his residence, with his wife and son Rodney at his side. He was born August 2, 1932 in White City, KS, the son of Russell and Marge (Weirich) Pretzer. He served in the United States Army from 1954 to 1956. Bob married Avis Hultgren on May 24, 1959. They had three children: Randy, Rodney and Robin. Bob worked in maintenance and retired from Morris County Hospital. He was a member of Council Grove Christian Church. 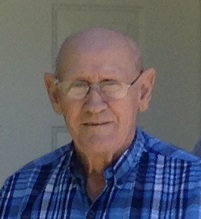 Bob enjoyed woodworking, loved his grandchildren and spending time with his family. He was preceded in death by his parents; brother Russell Jr.; and sisters: Thelma DeLuca, Jean Sams and Ernestine Nedza. Survivors include his wife Avis; children Randy and Judy Pretzer, of Wichita, Rodney and Linda Pretzer and Robin and Bob Roberts, all of Council Grove. He is also survived by his five grandchildren; three great-grandchildren; two step grandchildren; two step great-grandchildren; and sister Pauline Evans. At his request, cremation is taking place. A memorial service will be held at 10:30am, Saturday, February 2, 2019, at Council Grove Christian Church. Memorial contributions may be made to Council Grove Christian Church AWANA Club or St. Jude Children’s Research Hospital.